April 19: 5 POWER Lessons From 5 Leaders Who Made History On This DAY! We are all here to serve a purpose, discover who and what we are and leave an everlasting impact for the future to learn from. This fact is clearly depicted by the life lessons of all these 5 empowered personalities. Their stories further empower us and help create the world of winners in the existing world. Read on! You are the cause and reason for whatever you were, you are and you will be. You are the sole decision-maker and constructor of your fate and journey. The positive nature of your inner thoughts, feelings and emotions resemble the way you lead your life and the path you take to travel in order to succeed. When your spirit itself is your motivator and inspirer, why do you look around for the daily dose of push and energy? You got to charge yourself using the vibrations which are radiated by your mind and heart. Heaven of peace and contentment is nowhere but right within you. You will find it when you discover it by feeding in righteousness and achieving attitude to your spirit. Remember that, the actions you take always reflect the inner strong you. 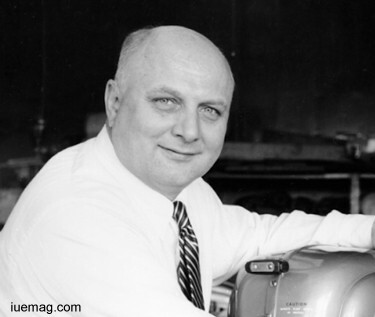 Strengthening his ideologies and embedding the sense of urge in his spirit, Ole Evinrude invented the world’s first outboard motor with practical commercial application. Usually, we think that we awake our spirit to achieve and make a deific mark in the society only when we are struck by deficiencies and downgrading living environment. But voicing a very positive ‘no’ to this statement, he characterized his journey with attempts for featuring success. Having tremendous interest in mechanics, he, at age 16, started his professional attachment with the field and eventually mastered patternmaking as well. The deep rooted tall trees battle the high tiding storms to strengthen its place on this earth. It spreads its rooted and glues it to the earth’s crust to ensure its security. Though the tree has complete right to remain on this land and serve the planet era after era, many natural forces oppose its service. There are millions of obstacles, hindrances and unsupportive forces for one good thing to take form. Thus, the tree must continue to fight for its survival to offer the unconditional service to the world which nurtured it. This is life! Unless we strive hard to win what we want, we will not get it. Every time you grow a step tall, there are lot of hands which try to push you down. 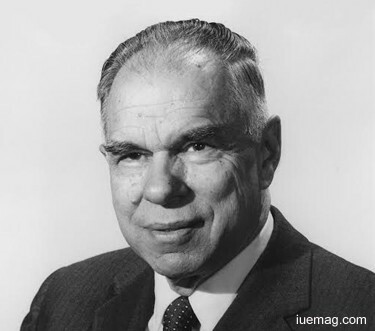 Overcoming all of this, Glenn Theodore Seaborg never stopped his growth. He didn’t just desire success, but ensured that he never let it flow away from him after he achieved it. He understood that it was his duty to and not a choice to stand strong and abide by his aspirations. The American chemist played a major role in synthesis, discovery and investigation of ten transuranium elements. This undistorted desire to live his dreamt life, which was rich in contentment, brought him name and fame; he shared the 1951 Nobel Prize in Chemistry. He served as the principal of ten elements: plutonium, americium, curium, berkelium, californium, einsteinium, fermium, mendelevium, nobelium and element 106, which was named seaborgium in his honor. While every soul on this planet wishes to succeed, only a handful of persons turn into personages. What is that which enabled the achievers to become revolutionary personalities? What is that which caused the radical of change to start its action? What is that one thing which exceptionally authenticates your success-a common man’s success? Dreaming alone doesn’t help any development to take form. It is your devotion for achieving your dreams that founds the winning integrity into your heart. Your desperation to achieve makes you achieve only when it is filled with the pure sense of hope and trust called devotion. 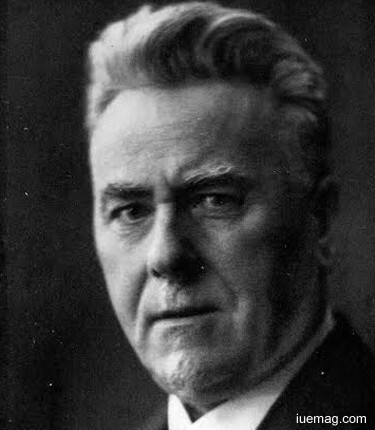 Ernst Rüdin, a Swiss-born German psychiatrist, geneticist, eugenicist and Nazi was a pioneer of psychiatric inheritance studies. He founded the Max Planck Institute of Psychiatry, which was honored and cited internationally. His interest in science nurtured him to live, gain, win and experience a contented life. He wanted to bombard himself as one of the greatest and dedicated achiever and contributor. He stood by, designed, justified and funded the mass sterilization and clinical killing of adults and children. In spite of all the guidance and lessons he received, his acceptance for devoting himself to the purpose of his life was a reason for his victory. President of the International Federation of Eugenics Organizations was the first to attempt to educate the public. We humans often concentrate only on our line of desires and aspirations. We are ready to even stop the sun from rising or start the rain in desserts just to achieve what we want to. But always remember, in the course of our attempts to get what we want, we may miss out on a lot of small but rejuvenating ecstasies and happiness-filled moments. There is nothing wrong in feeding your mind completely with all that takes you to your destiny. But always remember, welcoming all the other value-added incomings would surely fetch opportunity to realize the true joy of life. You attain success when you achieve what you’ve focused on. But you got to complete it by valuing and finding happiness in so many transcending entries which occur in your life; this doesn’t mean that you must lose track on the path that leads you to your dreams. Sarah G. Bagley, not failing to respect anything which came to her, she dealt with life in terms of obeying the reality before changing it. She never forgot to consider the stars (care for women) when she saw the moon (her job in the mill). The American labor organizer was active in trying to establish betterment in the society. 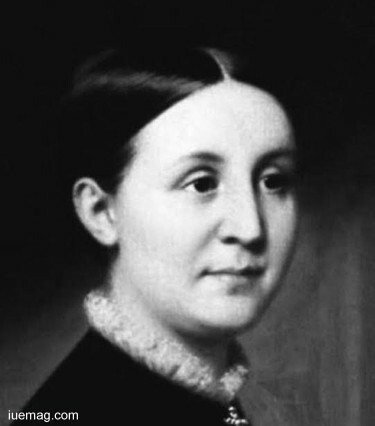 She worked in a cotton mill and this became a tool for her to understand the errors and troubles which prevail in the business and labor world. The president of the Lowell Female Labor Reform Association focused on improving the working conditions. We all dream of a perfect life. We strive hard to better every bit of whatever happens in our lives to accomplish out dream. But how much of your life can be perfected? Betterment happens when you continually owe yourself to attaining success. A perfectionist is said to be so only when his deeds bring in the fragrance of joy. Certain things in life are meant to be in the way they are. Invest your thought in discovering what can be learnt from such things rather than focusing on changing it at one shot. Sometimes, accepting things and going on in life may help you reach your destination. However, it is you who is supposed to decide what must seek your efforts, focus and attention-your goals to frame your successful life or your desire to change the existing unpleasant life. 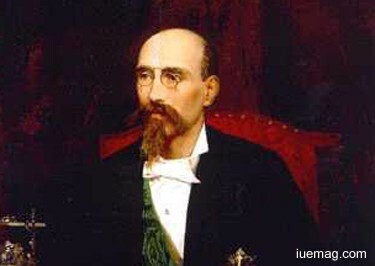 Not confining his concentration, dreams and inner urge to achieve, José Echegaray exalted his love and aspiration to subjects which directly added to his growth. He knew his priorities; he knew why he was here and what he had to do staying on this planet. The Spanish civil engineer, mathematician, statesman, and one of the leading Spanish dramatists began his journey towards success by accepting things around him and learning from them. He won the 1904 Nobel Prize for Literature for giving rise to brilliant compositions in the Spanish drama. After this rejuvenating read which has cheered you up, read it once more to discover what action you are going to take to decide what you want in life. It’s time to stand up for yourself and prove your worth! Any facts, figures or references stated here are made by the author & don't reflect the endorsement of iU at all times unless otherwise drafted by official staff at iU. This article was first published here on 19th April 2017.